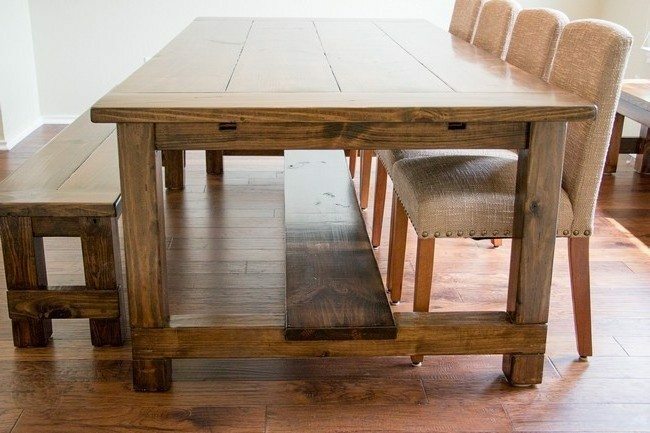 This low dinner table is good for people who prefer dining while sitting on the floor. 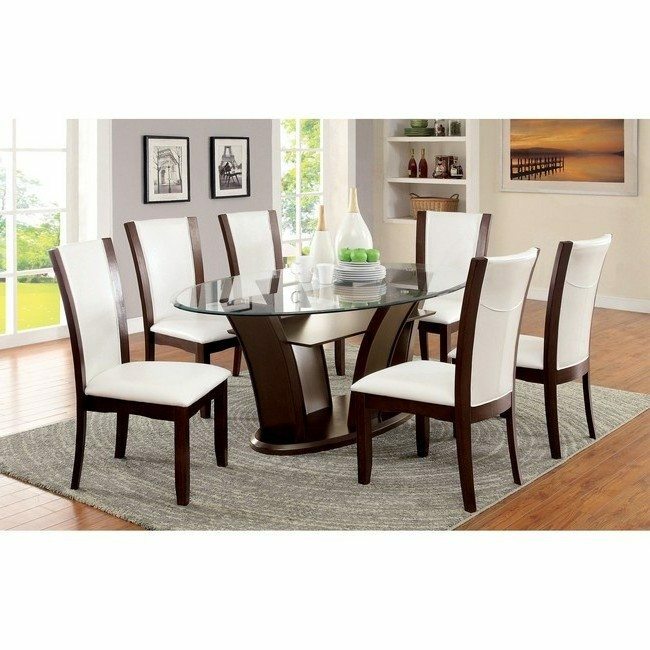 It is circular so people can easily fit around the table. 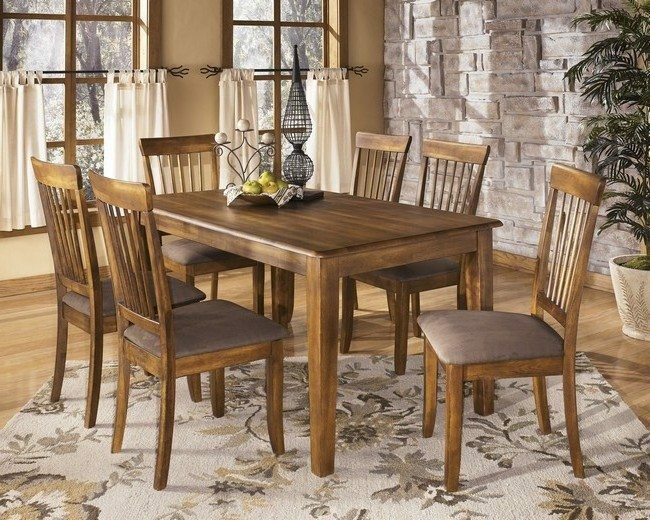 The carpet on the floor provides comfort. 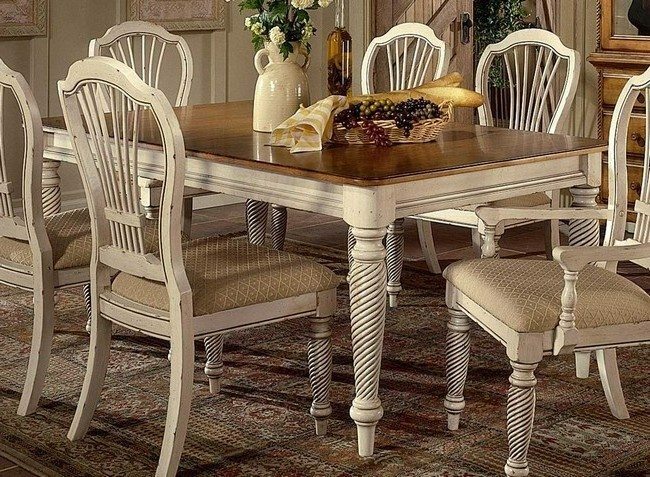 Shaker furniture is recommended for people who love simplicity and prefer utility to extravagance. 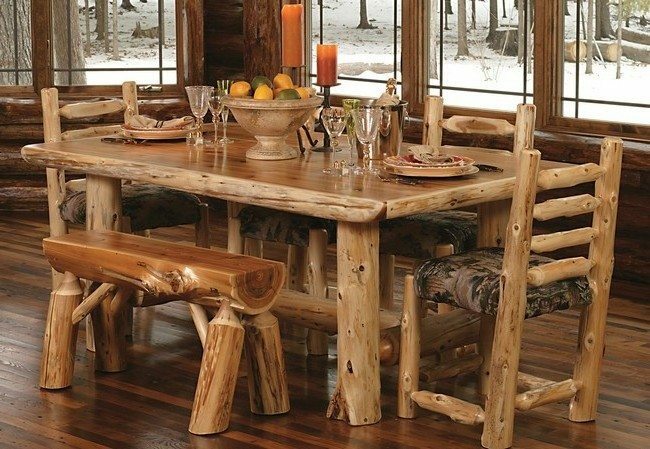 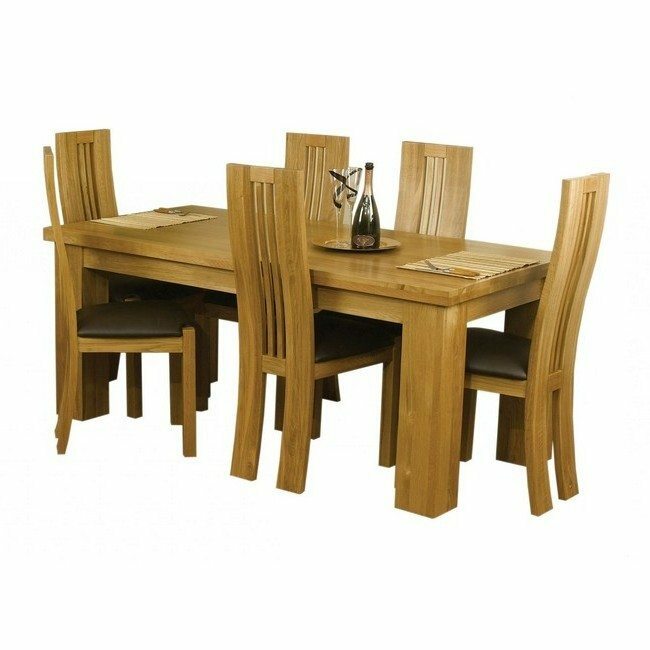 This table here features natural wood and has a solid rectangular design, with a matching set of chairs. 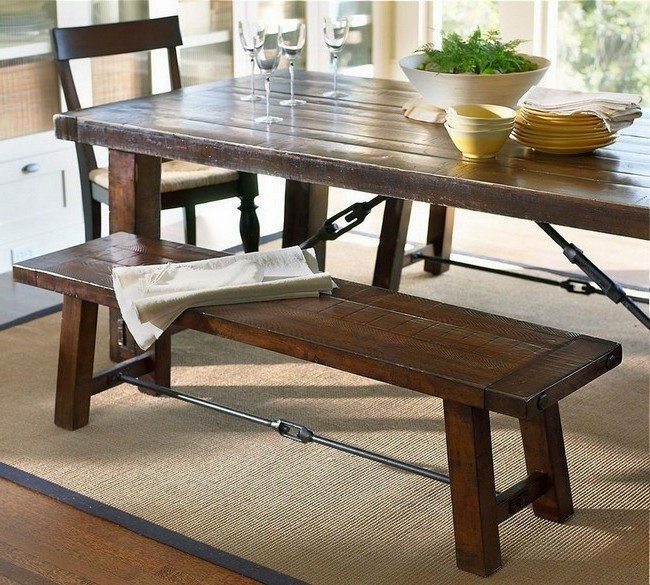 This table has a rugged and casual charm about it. 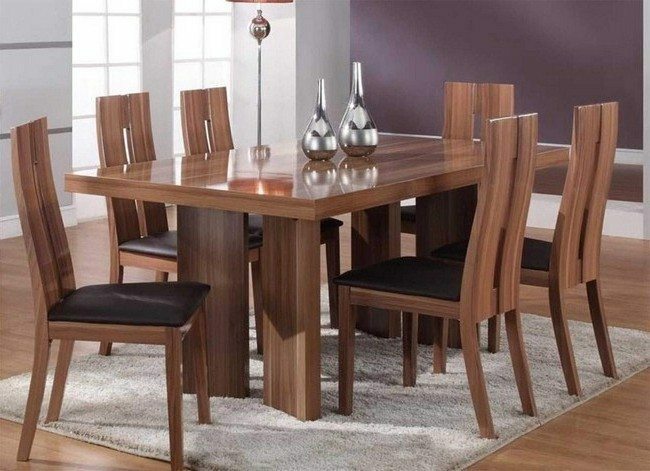 Dining tables with modern styles create a graceful look. 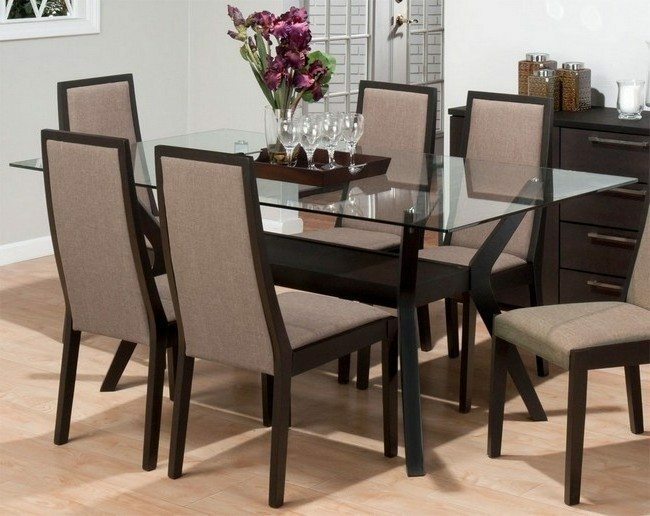 The table features clean lines and sharp angles, creating a thin, airy element. 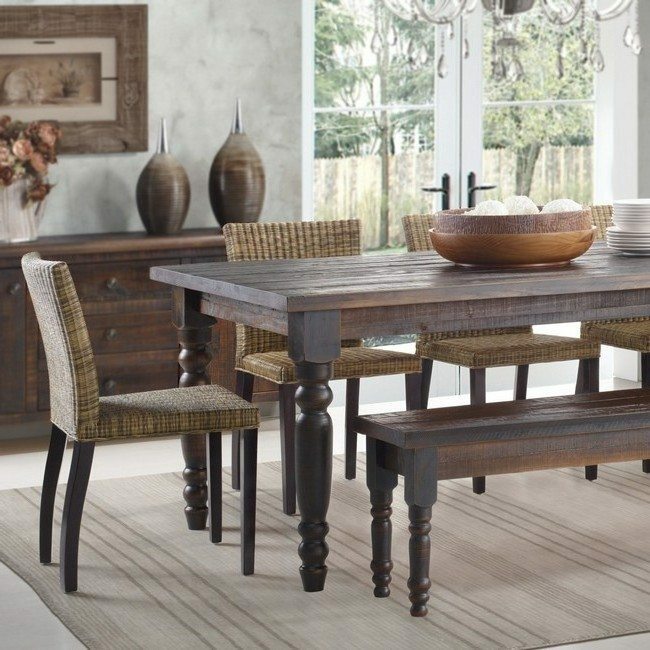 Circular tables are a good idea while buying a dinner table as they allow easy shifting of seats around the table. 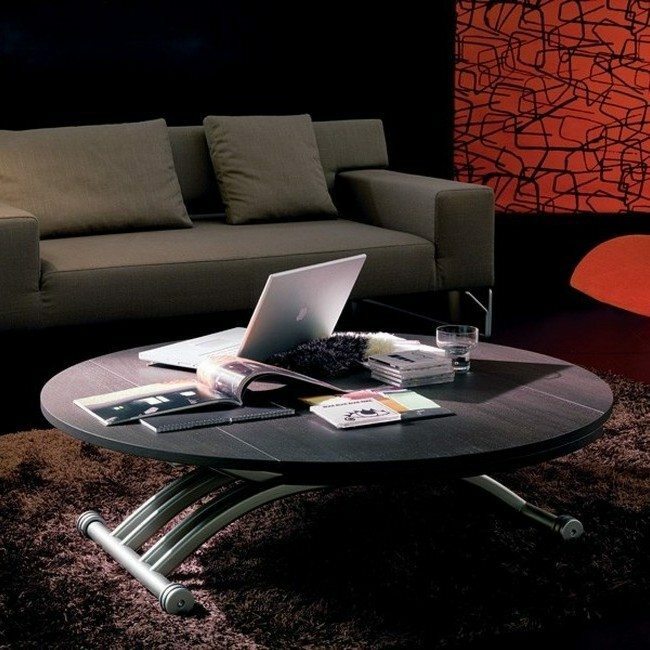 Glass tables are also a trendy concept. 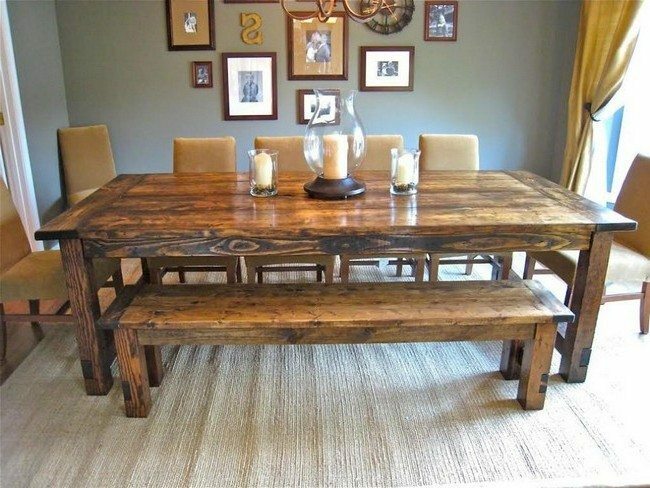 Rectangular dinner tables have existed for a long time now and are here to stay. 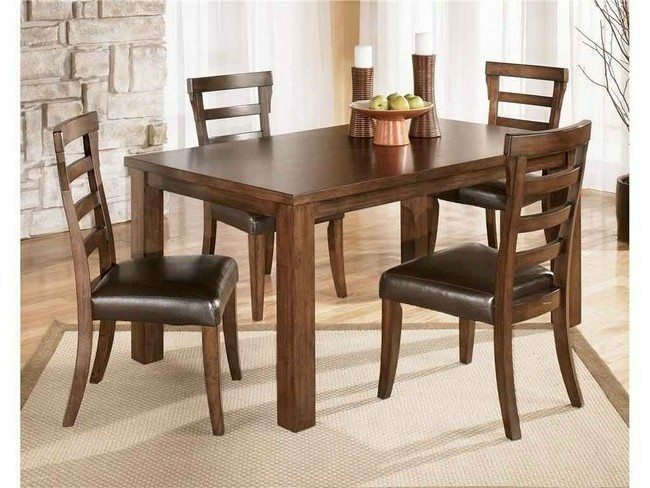 If the table is meant for a small number of people, a small-sized table is preferable. 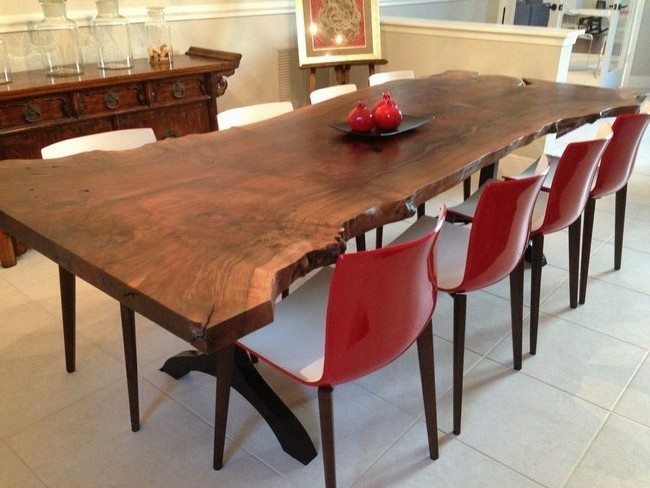 This table gives the room a minimalist design and the wood creates warmth in the room. 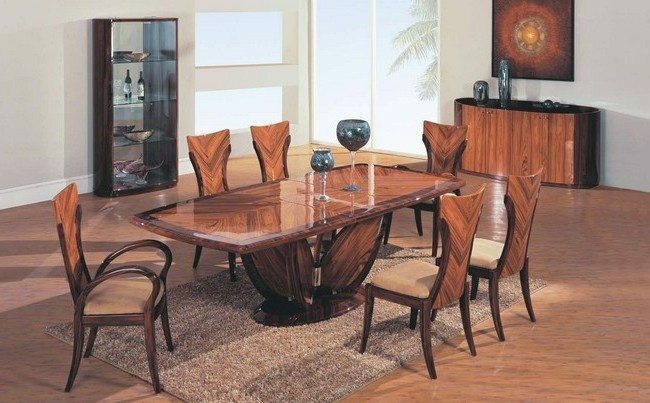 The table has a glass tabletop which creates a shining reflection. 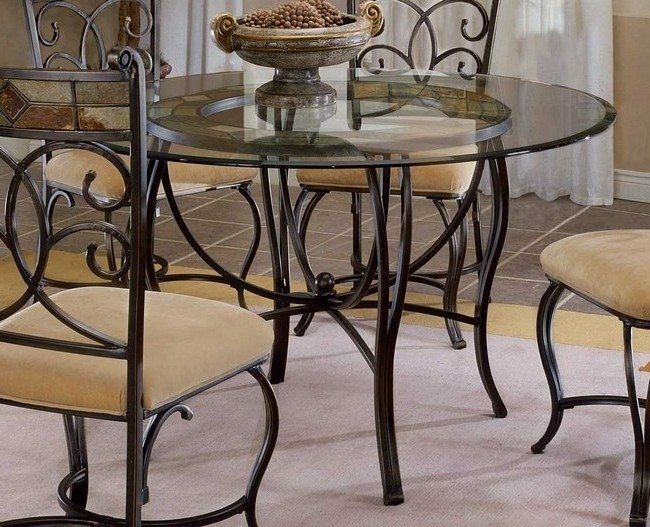 Rather than having straight, plain stands for the table, modify the design with rounded or curved legs. 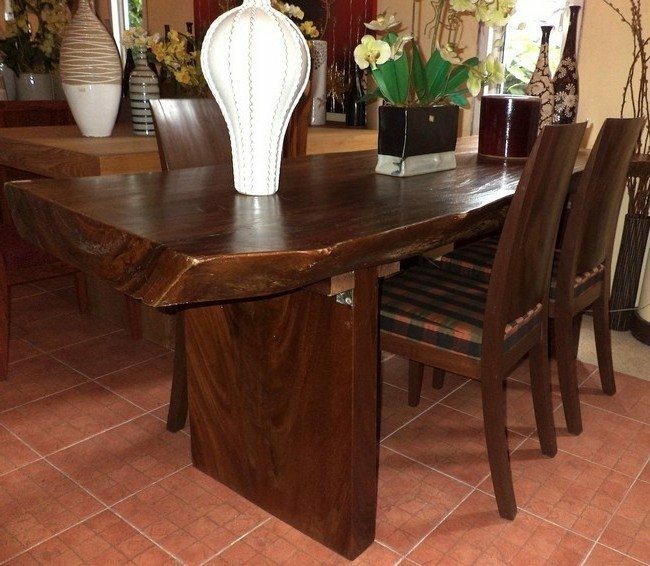 A freeform design means that there isn’t a definite shape. 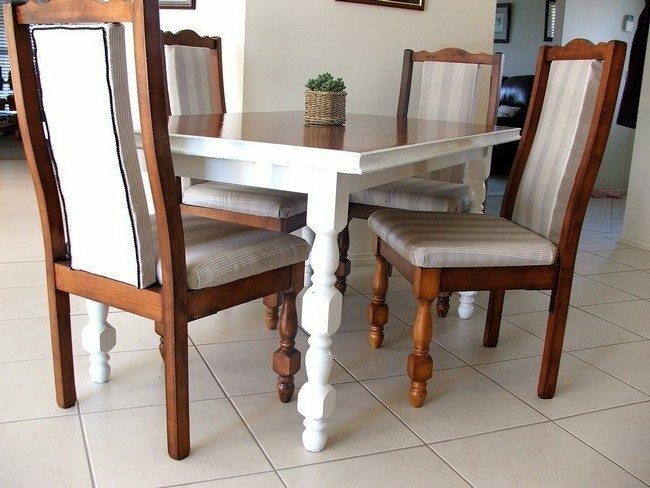 They provide a unique sense of style to the room.